Picture this: You’re perusing Twitter and find a great article. You open the link and think to yourself that you’ll read it on your lunch break. Your lunch break finally comes and something else requires your attention. The next thing you know it’s the end of the day you never got around to reading your article, but you shut down your computer and lost the link. Sound familiar? This happened to me nearly every day…until I got Pocket. 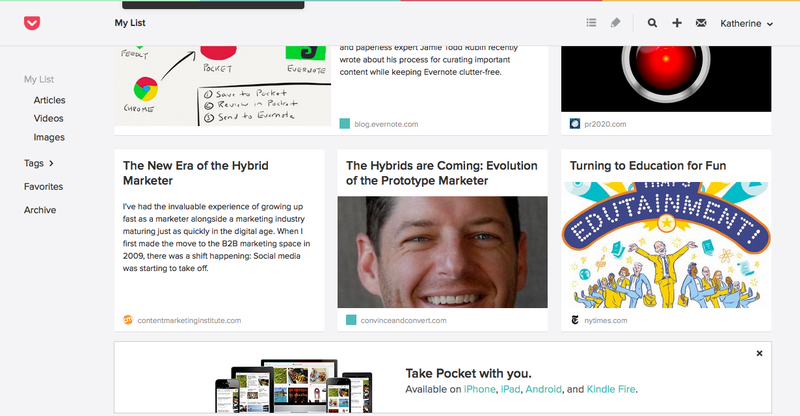 Pocket is a great little app that you can put on your smartphone, tablet, and your browser to keep track of the articles that catch your attention, but you don’t have time to read. When you come across great content that requires further investigation simply click on the Pocket icon on your browser and tag the content for easy sorting and categorizing. After that you can view the content on any of your devices when it’s convenient for you. 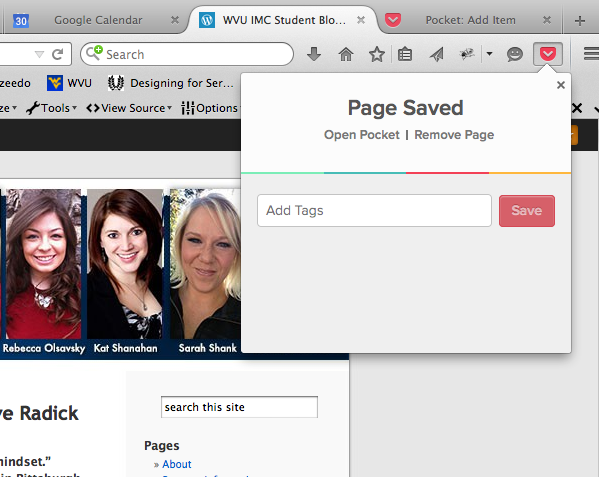 I find Pocket extremely useful at conferences and during Twitter chats. These fast-paced learning opportunities can be further enhanced by categorizing content in Pocket. The other feature of Pocket that I really like is the tagging feature. I can easily organize content by a variety of tools. I find Pocket to be a great way to organize articles that professors and students share in class so I can go back and revisit them later. The beauty of the WVU IMC program is that you can select a plan that best fits your needs. For me, that was taking three classes a year – one in the spring, one in the fall, and one in the summer. Sure, I had weeks of downtime in between that meant it would take me fours years to complete the program, but that was the best route for me with tuition reimbursement and work schedules. I was pretty happy with my plan and things were going smoothly. Then, I got an email from WVU saying they were changing the course requirements and I could graduate sooner. I was very excited, but it meant taking the capstone in late fall, which would be extremely challenging with work and other commitments. So, I made the decision to take two classes in early spring so I could take the capstone in the summer. It was a difficult decision, but it was the right one. Taking two classes for the first time can be very difficult. So, I wanted to share a few tips that worked for me and some wise words from our classmates. If you’re taking two classes this term, I wish you all the best and hope that you’ll find these tips helpful. For those of you that are digging in and taking two classes every term – you’re amazing and I’d love to see how you do it, so leave a comment! One key element for me was to take a break on Monday and Wednesday nights between working on materials for each class. That would allow me to clear my head so I didn’t get confused. I started the term using Kristi’s method of working on one class each day, but I wanted to keep up with my classmate’s posting on the discussion boards. Doing both discussions on Monday helped me participate more in the conversation. It will be different for every class, but I had some very interactive discussion boards this term! For the assignments and readings I found it very beneficial to work on one class per day, so I didn’t get confused. If you have more tips on surviving two classes per term I would love to hear them! Also, feel free to check out this previous post on organizing files in case you need a little inspiration for the upcoming term. Good luck with classes this term! Shopping for clothes online, it’s instinct to immediately find your designated section as a consumer. Women. Men. Girls. Boys. Baby. 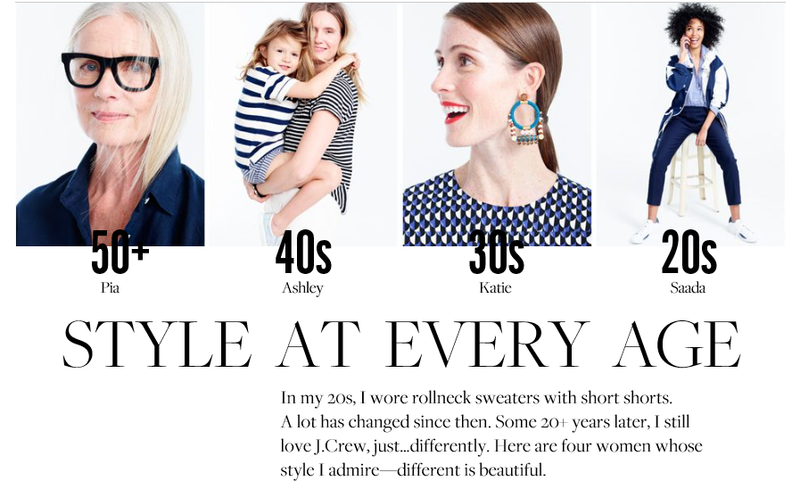 J.Crew’s new take on the e-commerce experience is quite refreshing as the apparel company invites female site visitors to shop “Style At Every Age.” Instead of just shopping by category, women can find inspiration by their age. Whether you’re in your 20s, 30s, 40s, or 50s+, the company has a feature collection of clothing and accessories available for that target. Personally, I found it an enjoyable browsing experience as it almost felt like Pinterest, J.Crew-style. Plus, for each age group, the company features a model showing off her style. I wonder, however, how well this concept could transition to the men’s section. Should more apparel brands adopt J.Crew’s market segmentation approach? There is a fundamental shift in the way that we create, consume and share content. 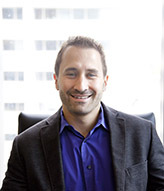 To quote Marc Mathieu from Unilever, “Marketing used to be about making a myth and telling it. Now it’s about telling the truth and sharing it.” With an ever-more crowded marketing environment, it behooves brands to move away from thinking like marketers or advertisers who are selling a product and more like publishers. To do this, companies must create and curate relevant and valuable content to attract, acquire and engage their target audience. While this is done with the objective of driving sales, it’s not truly advertising or public relations – rather it’s a bit of both. Content must be consumer and not brand-focused. It also must answer customer questions across the buyers journey. Successful branded content is often more effective than advertising because it tells a story that engages the user. These stories help to build stronger relationships. They make people care about a product, brand or cause in a way that sales can’t. Even the news media is challenged by the increase in content marketing. Upstarts like Buzzfeed, Upworthy, and Digiday, to name a few, are creating new news paradigms. In the past four years, nearly every media company has rolled out sponsored content as a new revenue stream, to varying levels of success. As an example, let’s look at Buzzfeed. One could argue that the front page of BuzzFeed looks like a 21st-century tabloid. BuzzFeed provides shareable breaking news, original reporting, entertainment, and video across the social web to a global audience of more than 200 million. It isn’t the New York Times, but it may be a new iteration of the New York Times and the future of how consumers get news. Buzzfeed provides newsworthy content to consumers in digestible bites. These bites come in an assortment of styles ranging from listicles to infographics, timelines and more. In owned social channels, brands must adopt a similar strategy if they hope to keep up. But, the content game is one that all companies must tackle with their eyes wide open. Content creation takes resources, insight, endurance and persistence. It is not about posting once a month and expecting to see sales gains. It takes a lot more time and effort. Created. This could be dubbed the hardest part of content marketing. 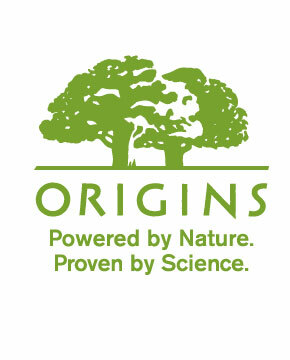 Creation happens when a brand or company makes entirely new content to put forth via their owned channels. 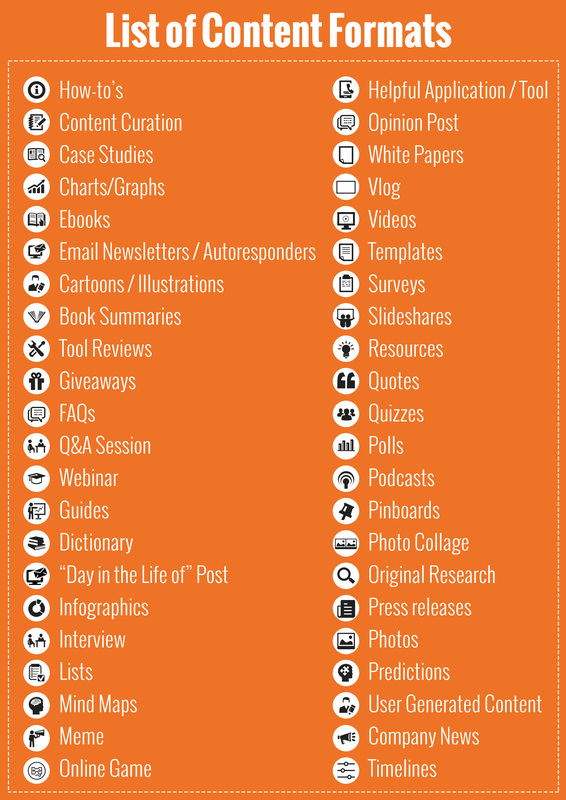 Hubspot recently posted a blog outlining 44 types of content that can help to get your content creation juices flowing. Curated. Curation is done when a brand finds pre-created content that engages the target audience, they then collect it and add in their own creativity to it. This could come in the form of offering an original spin on the initial content. The new breed of online publishers (Buzzfeed, Upworthy etc.) is, at the core, clever content curators. Crowdsourced. Consumers love to share content, whether it is photos, images, videos or content that resonates with them. Ask and you shall receive. Ready to get started? Many brands have upped their content marketing game in the last year. This article from Outbrain, shares 6 epic examples from 2014. What types of content marketing have caught your eye thus far in 2015? 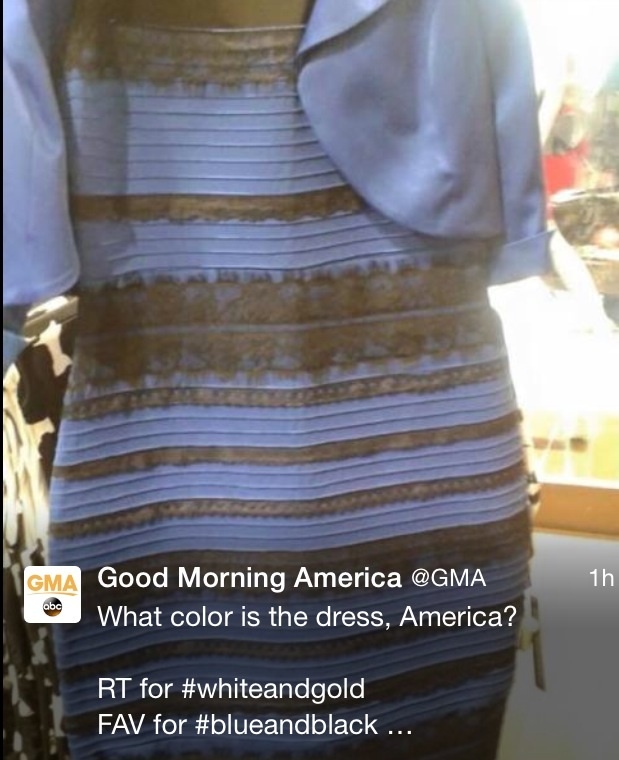 At this point, who doesn’t have an opinion on #TheDress? The question of February 26, 2015: What color is the dress? 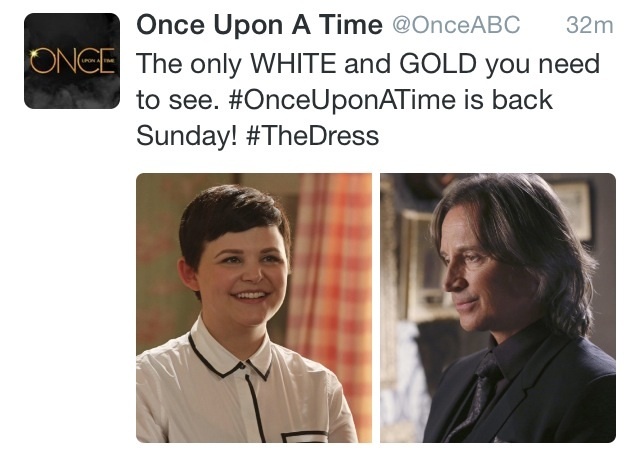 Fans of the ABC modern fairytale show loved seeing character references of Snow White and Mr. Gold (Rumplestiltskin) connected to #TheDress. 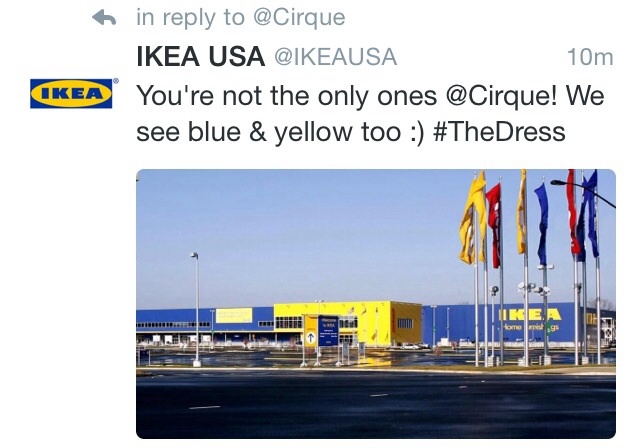 …and IKEA agreed. 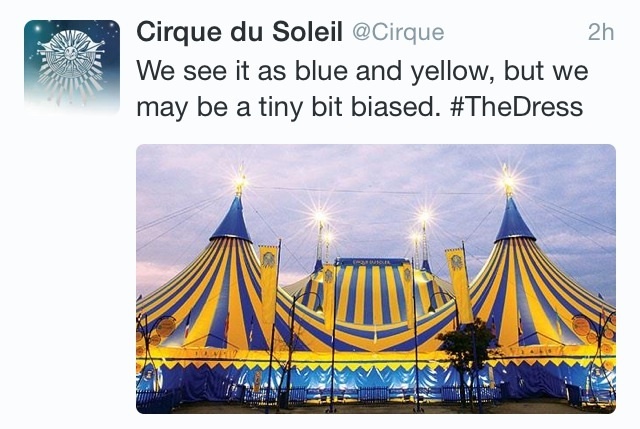 Is anyone else on team #blueandyellow? What are your favorite brand references to #TheDress? 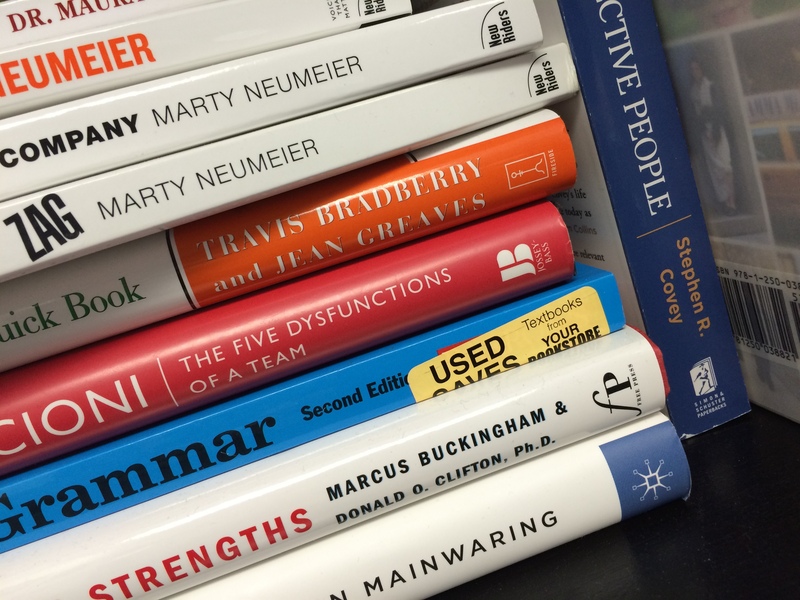 You are currently browsing the WVU IMC Blog blog archives for March, 2015.